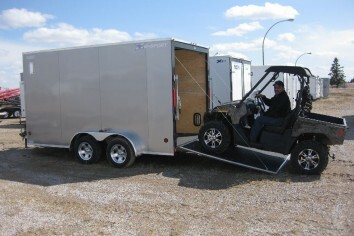 Car and Toy Hauler trailers give you an enclosed trailer to haul your cars, quads, snowmobiles or bikes. 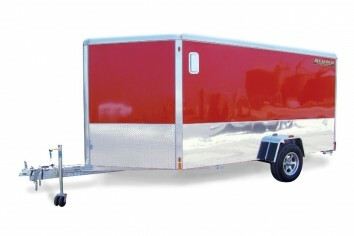 These fully customizable trailers have options ranging from simple cabinets to heaters, ramps, lights and more. Our enclosed toy haulers offer you added space and features to haul your toys or car. 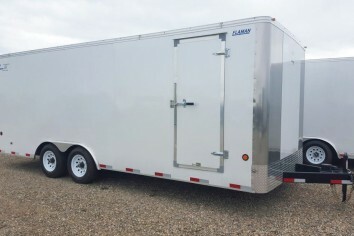 Enclosed Car Hauler and Toy Hauler Trailers are somewhat of a specialty at Flaman Trailers. We stock several different lines of car hauler trailers, including aluminum and steel, for just about any vehicle you need to put inside. They are configurable with side access doors, fuel doors, fancy cabinetry and flooring. 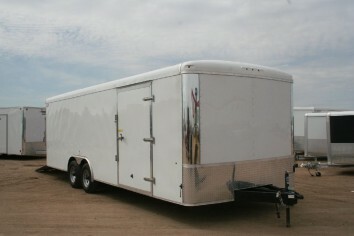 We carry the Royal XR, High Country, and Wells Cargo Fast Trac and Road Force lines of car hauler trailers. Whether it's your classically restored baby or your off road monster, the XR Car Hauler can move it safely and securely. With a wide-open floor plan and the capabilities for custom workbenches and storage units, this trailer is one classic customer. The Royal XR comes standard with torsion axles and aluminum rims. The heavy duty quad poly bead flooring system can stand up to extreme wear and tear and is weather proofed and water sealed for easy cleaning. The HD Ramp Design allows for hassle free drive on / drive off access and can carry the weight. 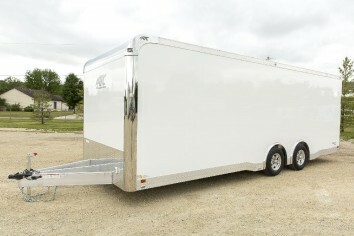 The Royal LT is an entry-level Car Hauler complete with a one-piece aluminum roof and spring ride suspension. 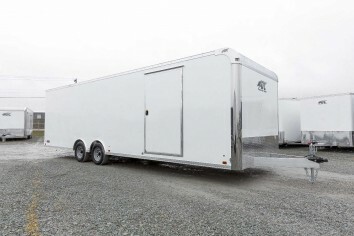 High Country All Aluminum Car Haulers are the perfect solution for your automobile hauling needs and are available in a variety of sizes in both Enclosed Car Haulers and Open Car Haulers. 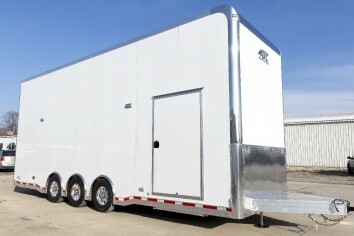 We can also customize your Car Hauler with various options, colors and accessories to fit your Car Hauler needs. 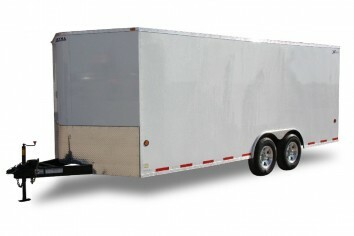 Looking for an entry-level car hauler trailer? Wells Cargo Fast Trac is the trailer for you! With its riveted exterior and spring ride suspension; the Fast Trac is the trailer for the price conscious consumer while keeping quality in mind. The Wells Cargo Road Force are a deluxe auto hauler that come equipped with a number of options from rear stabilizer jacks to extra interior height to suit your every need. "